Ramona moved to Canada from Romania and has now been here for two years. In her native country, she had a career as a travel journalist and communications officer. Like many newcomers to Canada, the beginning was not easy for Ramona, but she was determined to build her new life, step by step. She was very pro-active! First, she attended workshops, delivered by Avia-Work BC. Here she gained insight into the Canadian workplace culture and labour market. She then participated in the Pathways to Employment Program at MOSAIC, which enabled her to gain a certificate in office administration. She also volunteered for organizations such as Richmond Multicultural Community Services, Canadian Red Cross and Richmond Public Library, which gave her Canadian work experience! 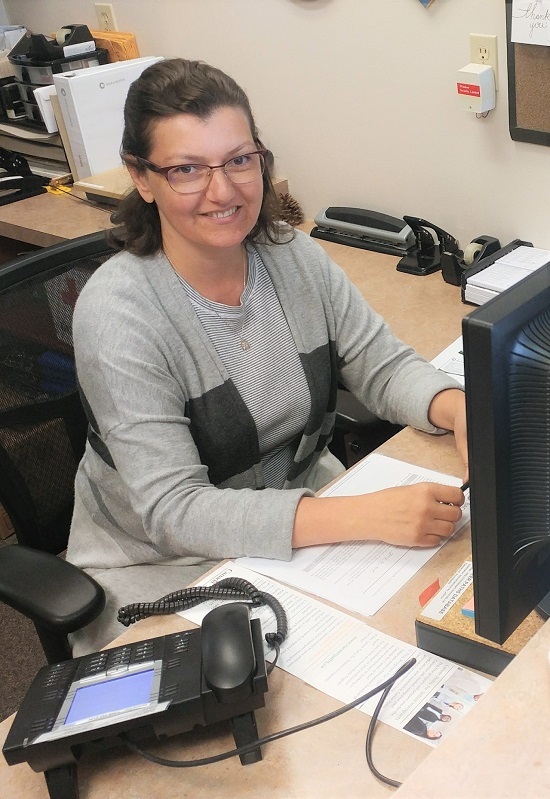 Ramona accepted a job as a sale associate at Home Depot and in her spare time she worked on her English skills by taking a Business Communication English course at BCIT. Meanwhile, she was still continuing her efforts to find a job related to her skills. Finally, through the contacts she made at Richmond Public Library, Ramona learned about Career Paths for Skilled Immigrants! Ramona worked with her career counsellor to identify barriers to finding employment. Her biggest challenge was due to a lack of local resources, professional contacts and industry information. To overcome these challenges, Ramona attended Career Paths workshops and networking events. Career Paths also helped the enhancement of her office skills by providing financial support for bookkeeping and payroll training. Ramona’s first opportunity came when she was offered a 6 week, temporary contract as a program assistant for Back in Motion Rehab. She was eager to grab the opportunity as it was her first step toward a brighter future! The position was extended, and she has moved into a permanent position! “I would like to thank the Career Paths team who helped me with the process of finding meaningful employment in Canada. It is a great program and I found here, a very warm and supportive team, therefore I will always recommend Career Paths for Skilled Immigrants to other newcomers. I will guide them to follow their career counsellor’s advice step by step and to attend all “in-house” training. Career Paths for Skilled Immigrants thrives off your referrals! Our aim is to help newcomers in situations similar to Ramona’s, so if you know someone who might need our help, tell them about us! YOU COULD ALSO BE IN WITH A CHANCE TO WIN A $100 GIFT CARD! What: Meet with a Career Counsellor and discuss how best to showcase your qualifications, accomplishments and work experience. What: A workshop to help newcomers understand the Canadian business environment and cultural norms. Register to join this workshop by emailing us!